A Note From Our Instructor -- It is my mision to reduce my students' risk of being in a traffic accident for the rest of their lives. * Standard -- $369 -- Three Lessons, for those that already have their full license. * Road Test Training -- $369 -- Three Lessons, for those that need to pass the road test. * Take The Test In Our Car Training -- $500 -- Three Lessons and One Lesson On Test Day right before the test. This package includes taking the test in our car on the 4th lesson. 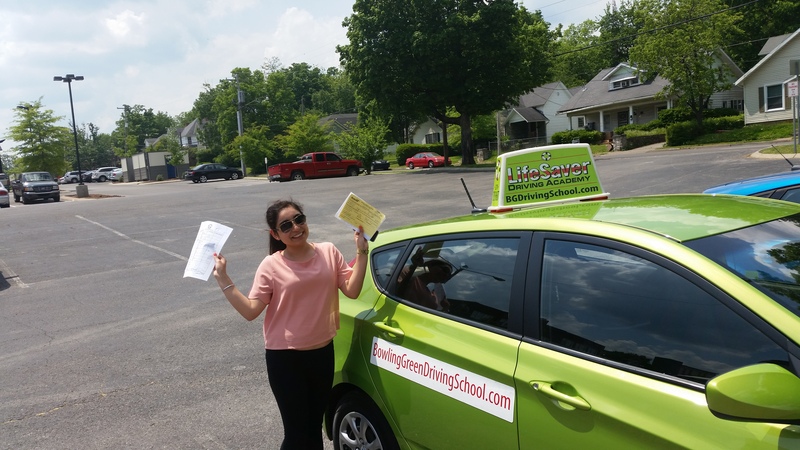 * New Driver -- $676 -- Five Lessons PLUS 1 FREE (total of 6 lessons). This package includes taking the test in our car on the 6th lesson. * 2 Hour Minimum $135 -- 1-Two Hour Lesson. (To add lessons to courses of 3 or more lessons -- $123 per lesson). Please note additional fees are added to the price of any course shown above if the student is picked up and returned outside the city limits of Bowling Green Kentucky. Please call or email us to find out the additional fee. Click here to schedule your course.